Instead of talking through the book and giving my opinion at the end I'll tell you now. I liked this book very much indeed. 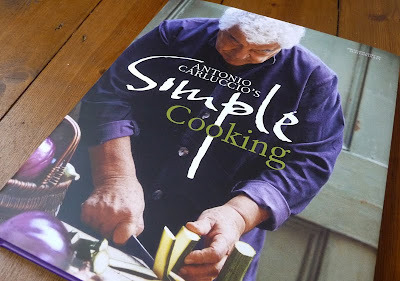 A lot of my fondness of this book could be the fact that I think Antonio Carluccio is a wonderful man and cook and I have used a lot of his reliable recipes over the years. Thinking back, the first cookbook I ever bought at sweet sixteen was Antonio Carluccio's Feast. Antonio Carluccio has no air of ego about him and with all the pomp and effing of many of the other celeb chefs he is always there, in the background, quietly doing what he does best. I don't thing anybody could say anything negative about him. In fact when I got this book I gave it a little hug! A fungi foraging food super hero, Antonio Carluccio could easily be a member of one of my Italian family. 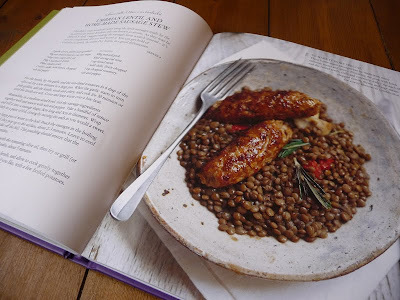 And probably because of that, I felt so comfortable with his recipes, tone and persona that I decided to review his book by cooking, untrialled, three of his recipes for a dinner party. You can judge this book by it's title. Antonio Carluccio's Simple Cooking is just that, championing his MOF MOF (Minimum of Fuss, Maximum of Flavour) methods. Inside you will find real Italian classics that sit alongside more regional Italian cooking and some of Antonio's own inventions, most of which can be created with just a few good quality ingredients in little time. After releasing thirteen books, this one brings together all of Antonio's knowledge, secrets and tips amassed over fifty years of cooking. Growing up in a typical Italian home, he had absorbed his mothers' creative, thrifty ways and passion for fresh food and was often sent to forage for wild foods. When he was a student in Vienna, along with this strong food foundation, he learned how to make his basic larder work, especially to charm the ladies! There are a few spreads at the start of this book which explain the classic Italian flavours and the contents of an essential Italian larder. Each section are also explained with a little light-hearted information and tips. It is only the pasta section that is explained on a further two spreads! Antonio talks through types of pastas, the appropriate sauces (no bolognese on spaghetti!) and the correct way to cook and eat pasta. Follow these little rules and you will never suffer a mediocre plate of pasta again, he promises. Listen to the man, I say. Each recipe is offered with a little history of the dish or some ingredient information, which is always nice. A little fork symbol at the end of some of the recipes give further tips on using leftovers (leftovers? what are they?) or making a dish more "special" with some additional ingredients or reworking it into another form. It shows how adaptable and thrifty Italian food is, deriving from the days where it suffered poverty, and yet with smart knowledge of ingredients and techniques, Italians still ate like royalty whenever they could. For my dinner party, I decided to cook Arancini di Riso (Little rice balls), Green Gnocchi with Tomato and Mozzarella and something that I have not eaten for many years, Zabaglione with Bitter Chocolate Sauce. 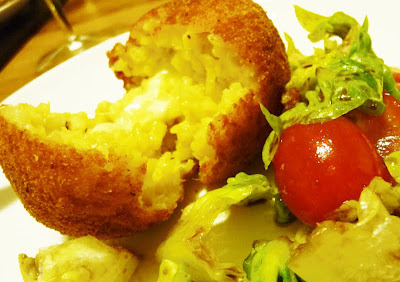 The arancini, a Sicilian speciality, I adapted a little bit by popping a little mozzarella in the middle and making them big, as Antonio suggests in the introduction. I made a simple saffron risotto and after letting it cool, mixed it with beaten egg, seasoning, Parmesan and nutmeg. These were shaped into balls, popping a little mozzarella inside, then coated in beaten egg then rolled in breadcrumbs which Antonio gives you the recipe for. After deep frying they look exactly like scotch eggs but once you break into them, the mozzarella oozes and the risotto crumbles, you know you are in for a real treat. My friends, hoovered theirs up before I managed to take a photograph of mine! Gnocchi can have quite a high disaster factor. The potato variety plus the recipe quantities can leave you with either bullets or soup. 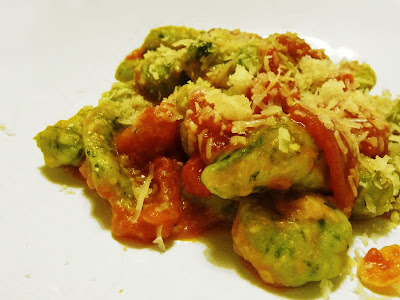 Antonio's recipe gave me the best gnocchi result ever. Light but firm, I though they were excellent and his tips on preparing the spinach so there was no water, contributed to the success. I loved the spinach in them and the simple 20 minute tomato sauce to accompany them was lovely. This has now replaced my usual gnocchi recipe. Again empty plates (and wiped cupboard-clean with bread) from my guests. After a pasta course of homemade tagliatelle with mushrooms and truffle, plus a cheese course (Antonio would approve) we were back on track with the man with his recipe for Zabaglione. 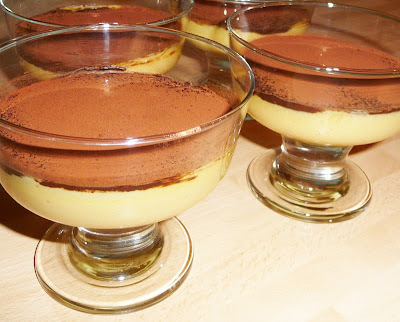 This is a sort of boozy Italian custard/mousse dessert which is very common. You can serve it hot or cold and I decided to chill mine. I have only ever had it alone, but this recipe has a bitter chocolate sauce. Unfortunately I found the sauce too thick and over powered the Zabaglione, which is quite some feat as it is very strong in alcohol. It also didn't make the dessert look very pretty so I lightly dusted the top with cocoa. My friends (albeit full at this point) still polished it off regardless so maybe it was just me who wasn't convinced on the sauce! I have a feeling that this book will become one of my well-used and dog eared cookbooks over time. 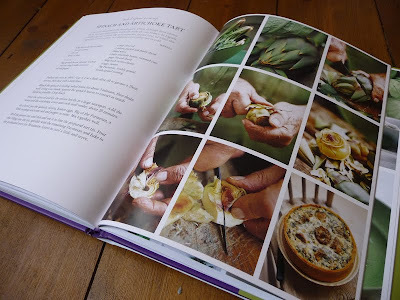 There are so many more of the recipes I want to cook; Cabbage and Onion pasta, Spinach and Artichoke Tart and a simple version of a Timbale to name a few. A few days before I cooked the Umbrian Lentil and Homemade Sausage Stew which included a very unusual (but genius) method of making sausages and was the most amount of cooking fun I've had in ages. This deserves a post all on its own so I shall share that tomorrow. You HAVE to try that one. It wouldn't be me if I didn't comment on the design and photography of the book and as simple as it is, it has been beautifully executed. The layout is nothing new but perfectly suits the food. I like the way that Antonio's strong, well used hands are practically in every photograph, peeling or chopping something. The pages that have thumbnails of the process of the dish are a great idea that helps you feel connected with Antonio's cooking. 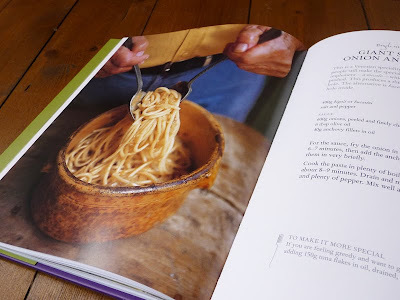 The font used for the Italian recipe headings gives it a hands-on rustic feel, whilst the typography used for the recipes is clear and simple. The book feels great on good quality, satin paper. I heartily recommend this book, especially if you want to get under the skin of real Italian cooking without sweating over a hot stove for hours on end. Oh, and if you do buy this book, remember to give it a little hug. Many thanks to Quadrille Publishing for sending me this review copy.